As we move to the bottom right of the draw, Outlander begins its quest to retain. Remember: Outlander's in action again tomorrow, meaning it's possible the show could face itself in the quarter-finals. But to do that, "Of Lost Things" must first get past Once Upon a Time's series finale, and that will not be easy by any stretch. 13 Reasons Why's second season finale is up next against Westworld's "The Riddle of the Sphinx". In 2016, a door broke Game of Thrones' fans hearts; today, it could be another wooden barrier that does the same because Stranger Things' "The Gate" faces Thrones' "The Spoils of War". 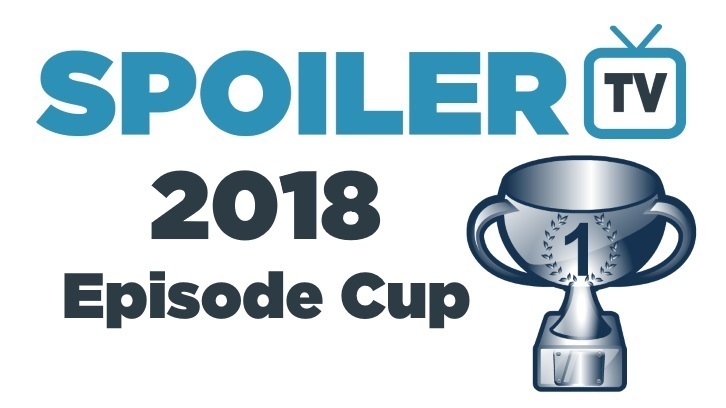 Finally, we have what I believe to be the first ever appearance of a Super Bowl lead-out episode in this competition as This Is Us's "Superbowl Sunday" goes for the touchdown against iZombie's fourth season finale. And on a Sunday, too. How lovely. Check back tomorrow for the next set of polls from round 1!